When we look good, we feel good- really good. Simple yet profound, this realization has taken me away from the doldrums of living each day simply being Mommy to the gracing the aisles of the local grocery store, owning it! Also owing it, as in these kids want food like- every day. I digress. Three kids later, I became mommy to my kids, and a mystery to myself. Appreciative for the support of a close friend, I'm learning to treat myself well, I deserve as much, you deserve as much. There's victory in the indulgence in the beauty of natural, organic cosmetics with Nature's Brilliance by Sue. Thank you to Nature's Brilliance by Sue for providing promotional resources for editorial content purposes. "Where Your Natural Brilliance Always Shines." Finding health and beauty products that we love is often an epic quest to find "it". What exactly is "it"? For each of us, "it" will be found in a totally different type of product. 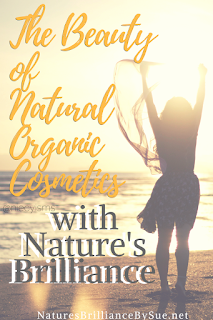 Nature's Brilliance by Sue is a company committed to "providing our customer(s) with the highest-quality natural and organic products available on the market today." Sue, professionally certified make up artist, has meticulously created a noted brand and profitable business as entrepreneur and sole proprietor of Nature's Brilliance By Sue. 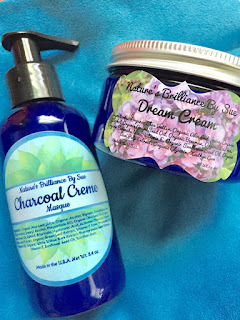 Located on the East Coast, Nature's Brilliance was established to "help people locate products for their skin tone and skin type." Personally, Sue herself has dealt with the complexities of managing multiple allergies for much of her life. With due diligence, an abundance of persistence and exhaustive research, Sue discovered a cosmetic product line of natural mineral make-up and organic skin and body care products appropriate for all skin types, especially for those of us with sensitivities or allergies. 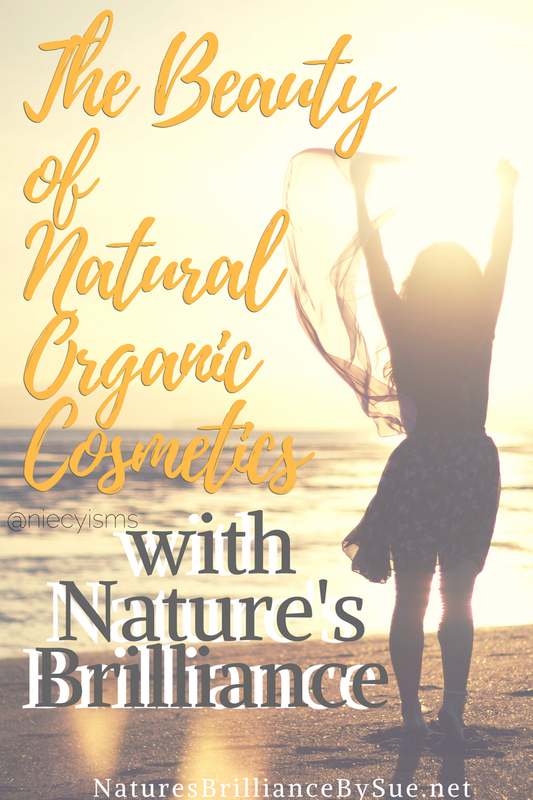 "Nature's Brilliance By Sue will not sell any product that is not 100% Natural or Organic and has not been tested by the owner her self. Sue has a Diploma in both Holistic Beauty Therapy and Holistic Herbal Therapy; with Certificates in Reflexology, Aromatherapy, Bach Flower Remedies, Crystal Healing, and Business Development for the Alternative Health Therapist, from the Natural Health Institutes, based in Canada." Search the inner depths of your closet to reignite your passion for those long forgotten outfits that made you feel oh-so-fab. Glam it up with a 5 minute face or give yourself the full beat. Always treat yourself well, use the best products for your personal wellness. Discover the beauty of natural, organic cosmetics with health and beauty products from Nature's Brilliance By Sue.